I'm in. June 13, 2010. The slow journey continues but hopefully at a little quicker pace than 2009. Way to go rockstar! you just did this one a few weeks ago, and liked it enough to do it next year? sounds good. b2b in november is going to be my first half. 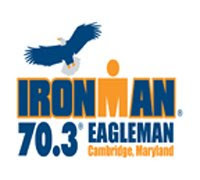 the next day is when registration for ironman florida opens up, and my plan is to sign up for it if i can stand up.